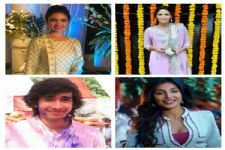 TV actors talk about Karwa Chauth and how they plan on celebrating it this year. This kind of ritual also gives us a feeling of togetherness and warm bonding with your partner. 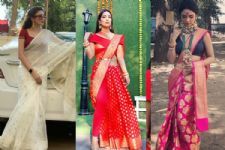 As people are celebrating the much loved and traditional festival of Karwa Chauth, our TV actors are religiously following this festival and keeping a fast for their respective husbands. 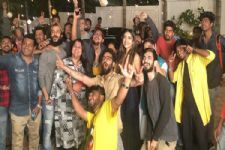 We got in touch with a few TV celebs to know about the festival and their plans. I like celebrating Karwa Chauth. Have been doing so since the last 13 years now. Once I remember, the moon had not come out and I was very hungry around 9pm on a cloudy night. My husband and I went to look for the moon. We drove out of Mumbai and after a couple of hours, we spotted it behind a mountain. I did the ritual under the open sky, in the middle of nowhere. Then while coming back, we stopped at a dhaba and I hogged on food. It was a very sweet funny and a precious moment for both of us. Regarding the belief that fasting for your husband will give him a long life, I don't know if it is true but I pray for his good health and love forever. I come from a very literate and modern family...no one forces me to fast and all but it's something I like to do. Every year I go full ninja on following traditions on Karwa Chauth. I take out all my gold jewellery from the bank locker, make new clothes for myself put mehendi and get ready like a new bride. It's good to go overboard once in a while. It reminds my husband of the vows we had taken on our wedding." It is very important for my wife Zara because she's a Punjabi and to my mother who is from UP. This will be our first Karwa Chauth, we got married on 28th of November 2017. The only memory I have is seeing my mother fast for my father and my grandmother for my grandfather. The whole day of preparation, pooja, stories and waiting for the moon...this year I will be part of it too. Karwa Chauth has been followed for a very long time as per our vedic structure, it is said to be 6000 years old. It has been followed and it has a lot of faith in it. I feel it increases the bond shared by a husband and wife. The wife feels more love towards her husband and when the husband sees his wife fasting for him without water and food, then he also won't feel like eating. I won't be able to eat for sure. I will fast with her too and we will both break our fast together. If she is keeping a fast on Karwa Chauth for me then I will be doing it too. Celebrating Karwa Chauth is very simple, women buy a lot of stuff; shringar, clothes and before the dawn they eat whatever they can and after the sunset and the moon rises, they break the fast. It's like a tapasya and I definitely believe if done with faith, it will keep the husband away from problems. I totally believe Karwa Chauth makes a relationship stronger if you look at it in a healthy way. Karwa Chauth is an Indian traditional festival and I just love it. Tina is very particular about fasting on Karwachauth and I love to join her in that as well. We go to the terrace on the 22nd floor, do Puja and then drink water and have sweets. We generally have family dinner after that but this year I want to take Tina for candle light dinner. We have been celebrating Karwachauth for the last 8 years. We celebrate by watching a film surely if we are not working on that day. Then, of course, there is Puja in the evening and moon-spotting followed by dinner with the family. Honestly, I don't believe this fast has any relation with a long life, but it's fun. We do it together, wear good clothes, spend time together and have a nice family dinner. This will be my second karwa chauth post our wedding. Last year Sandeep was away we did complete our ritual via video calls. We took the help from technology and it was a memorable one. This year we both will be celebrating together am already super excited. My mother in law has started sending me stuff which I needed for the puja. I won't be able to put Mehendi as I will be shooting. I am expecting Sandeep to do something special. 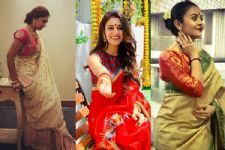 Before our wedding we have never done any kind of rituals, we both have immense respect for any kind of Hindu rituals as they all have certain scientific explanations. I am looking forward to spend some quality time with Sandeep. A special gift no I have not thought of anything maybe he has planned. Fingers crossed. This kind of ritual also gives us a feeling of togetherness and warm bonding with your partner. 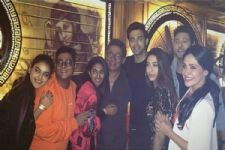 Here's how Parth Samthaan ringed in his birthday last night with Kasautii Zindagii Kay 2 team! Will it be as poisonous as it appears?